Techniques To Help Reduce Stress! Men and women have been known to report different and varied reactions to stress on both a physical and mental level. Women are more likely than men to report that stress impacts their overall physical health; women are also more likely to report their stress levels compared to their male counterparts. When an individual reacts to a stressor in their life, the body releases hormones such as cortisol which has an impact on the individual’s immune and digestive system. While stress can be a good thing in that it helps you to be more alert, focused, and energetic; extended periods of stress damages your health. It’s important to know what helps you to manage stress and discover what works best for you during these tumultuous times. Here are a few suggestions for you when life seems to be a bit overwhelming. Most exercises can help burn off nervous energy thereby helping you to relax. Exercise improves breathing technique by increasing exhalation to the rate of inhalation which calms your body allowing you to feel less tense. In times of stress, it might seem as if all you want to do is reach for that comfort food but instead, look up a new light recipe and cook it for dinner. Weight management in the throes of stress is vital since stress is already derailing you physically. It also might be fun to experiment in the kitchen if you enjoy cooking already. Take a few minutes in your otherwise busy day to sit down and write what’s on your mind. It can make all the sense in the world or no sense at all, but it is guaranteed that after you set down the pen, you will feel relieved as if you’ve just gotten something off your chest. Write a few words or a few pages and remember to just breathe; it’s only you and that piece of paper, no pressure and no deadlines. Take the time to connect with the people who matter most in your life as it can help to give you some perspective. At times, life can become so overwhelming but it’s nice to have someone to tell you to slow down, or put things in perspective and help you to prioritize tasks. If you don’t feel like connecting and discussing the stress you’re under, just take the time to catch up with someone you may not have spoken to in a while — they probably will provide you with a smile that you could desperately need. Stress is a normal part of life but if you ever find it to be overwhelming and you are unable to find relief, you should seek a therapist or counselor to help you with reducing the physical or mental pressure(s) that you are experiencing. Lindsay Hartstein enjoys blogging about health and fitness when she isn’t busy backpacking through Europe and Asia. 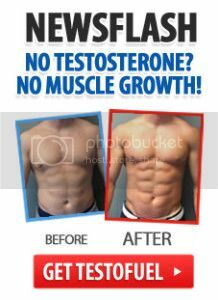 Bodybuilding Benefits for Teenagers and Adults! How Exercise Can Develop Memory in Older Adults! 6 Ways Exercise Can Help Improve Mental Health! How Weightlifting Can Work Miracles in Your Life!